By John Neporadny Jr. You’re a strong swimmer and you have life jackets stowed on board, so why should you have to wear one? The life jacket gets in your way when you’re trying to cast your rod or paddle your kayak, and it’s too hot to wear in the summertime. Besides, wearing one of those old-fashioned orange life preservers makes you look like a nerd. INFLATABLE – The M.I.T. 100 PFD has a manual tab for inflation (yellow pull tab) and an automatic water-sensing inflation system. These are some of the excuses I hear boaters use for not wearing a life jacket when out on the water, but there’s one important reason why they should always wear a personal flotation device (PFD). 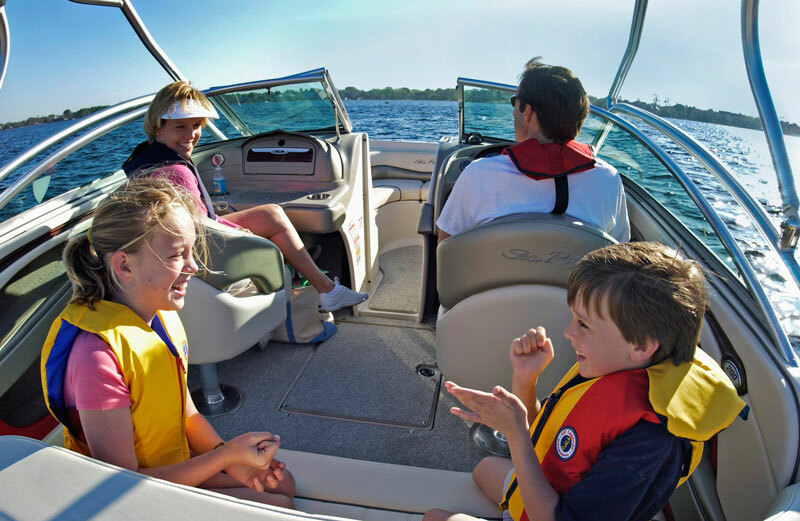 The U.S. Coast Guard reported in 2012 that 85% of drowning victims in recreational boating accidents were not wearing a life jacket. 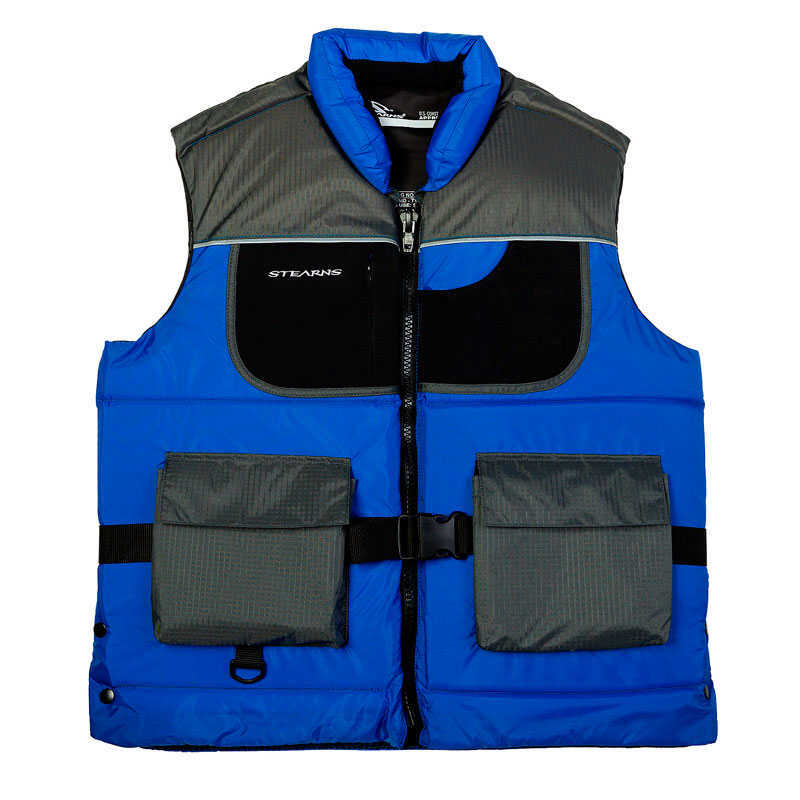 FISHING – The Stearns Flotation Fishing Vest is foam-filled and has wide arm cutouts for casting and boat operation. 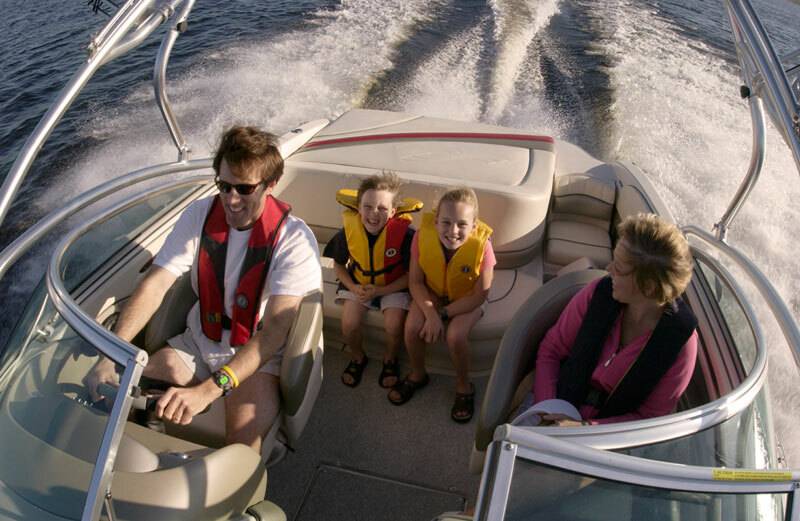 Johnson suggests that the Type III PFD gives you the “most multi-activity option” for boating activities. “You want to always look for one that is U.S. Coast Guard approved,” she says. “That is the number one priority.” Type I PFDs are for rough, open or remote waters where rescue may take a while. These have the most buoyancy. Type IV are throwable devices like cushions or ring buoys. Type V includes hybrid inflatables, with a performance equal to Types II and III, but they’re geared for special uses and must be used for the activity specified on the label. Who will be using the PFD and how it will be used determines which style of life jacket you should pick out for your family members. Johnson notes higher quality Type III jackets are now available in colors and styles that are appealing and comfortable for women. MTI Adventurewear offers four models of form-fitting Type III vests for women, including the PFDiva with an adjust-a-bust fit system. FOR WOMEN – MTI Adventurewear offers this Type III vest for multiple activities that is comfortably designed for women. Here’s a look at Johnson’s PFD recommendations for the following boating activities. 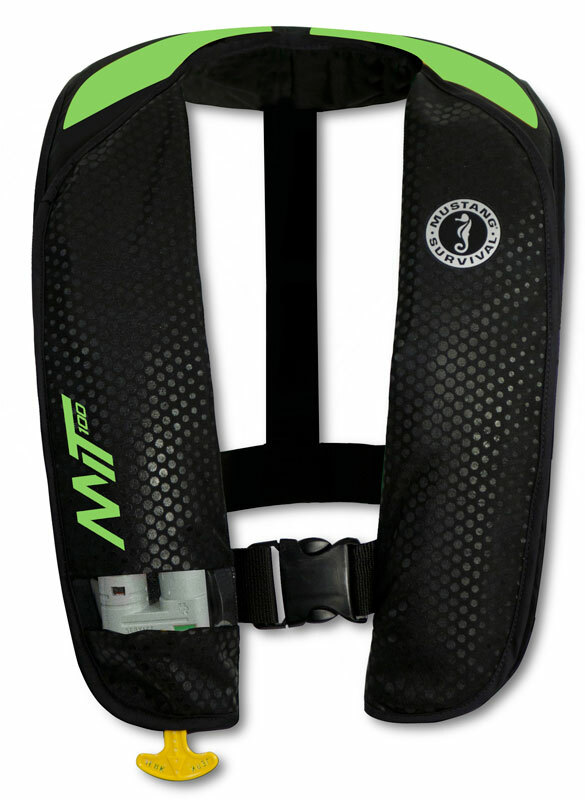 “If you are on calm water, we love to recommend the inflatable life jacket,” Johnson says. “It is such a comfortable lightweight option, that a lot of anglers and hunters are willing to choose it.” I frequently use this style of vest because it allows me to move my arms freely while casting and setting the hook on fish. And its smaller profile makes the PFD cooler to wear in hot weather. Johnson suggests that Mustang Survival makes great inflatable models for fishing, such as the M.I.T. 100, which the company claims has more than 1.5 times the buoyancy of most foam PFDs. 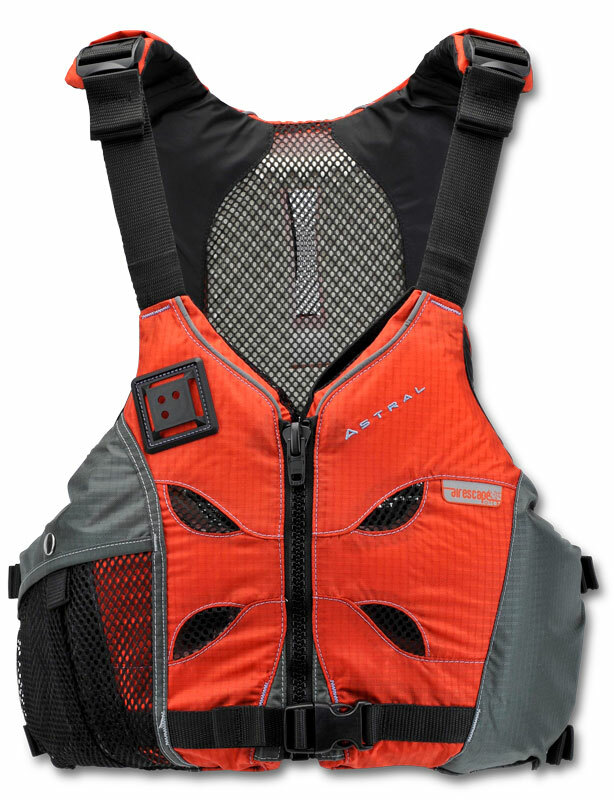 KAYAKING – Astral’s V-Eight foam-filled jacket has an air flow system to keep paddlers cool in hot weather. 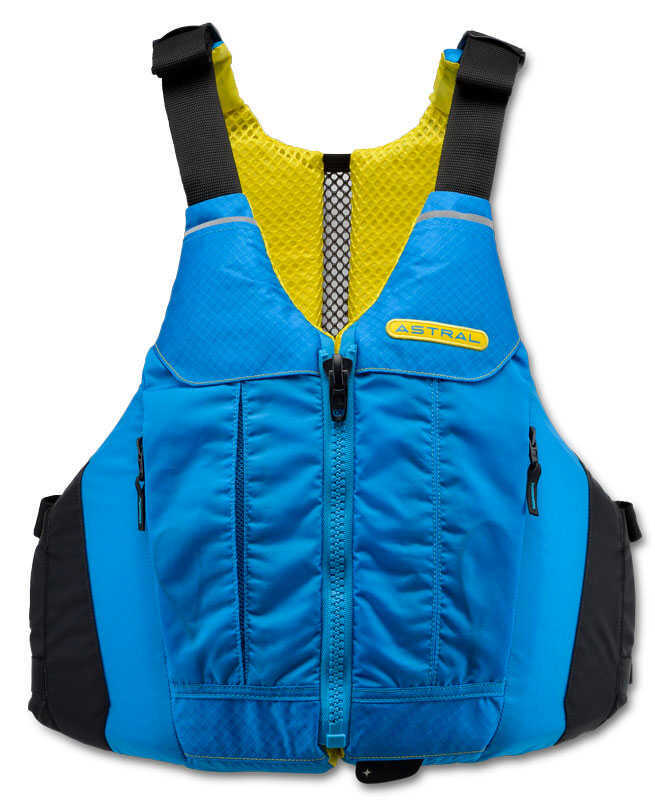 For fishing in rough water, a foam-filled life vest such as the Stearns Flotation Fishing Vest offers an “extra level of security,” according to Johnson. I personally like fishing with this style of vest in the cold weather because the foam filling adds insulation to warm the core of my body, and the wider arm cutouts provide more room for the various arm movements required to catch fish and operate a boat. Inflatables are an excellent option for paddling on smooth waters, but Johnson recommends a foam-filled jacket if the waters have some chop. 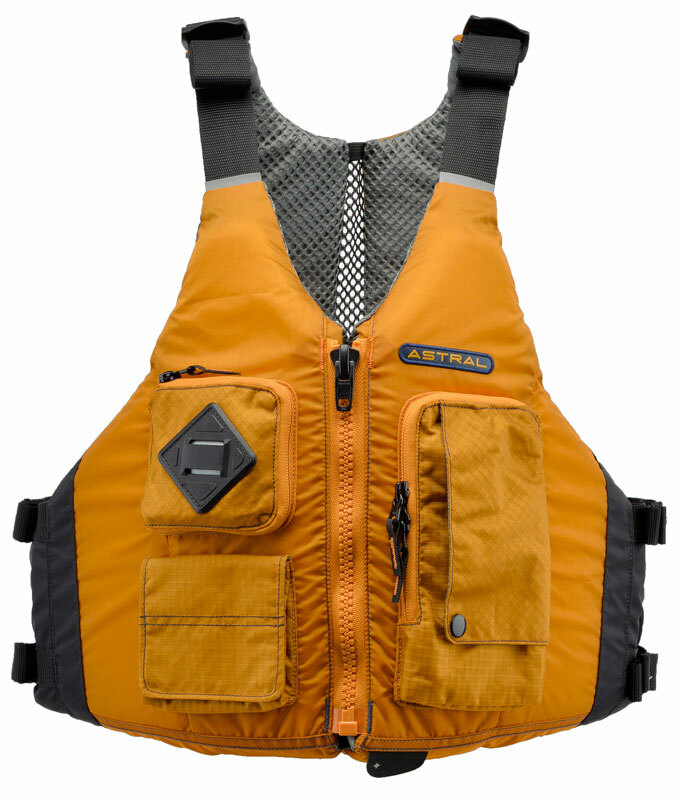 Astral manufactures three great recreational kayaking PFDs that are Coast Guard approved. The V-Eight is a breathable jacket with an air flow system that keeps paddlers cool in hot weather, has a mesh back that’s cut to fit the high-seat backs of recreational kayaks, and has extra wide arm cutouts so paddlers can take angled paddle strokes without rubbing against the jacket. 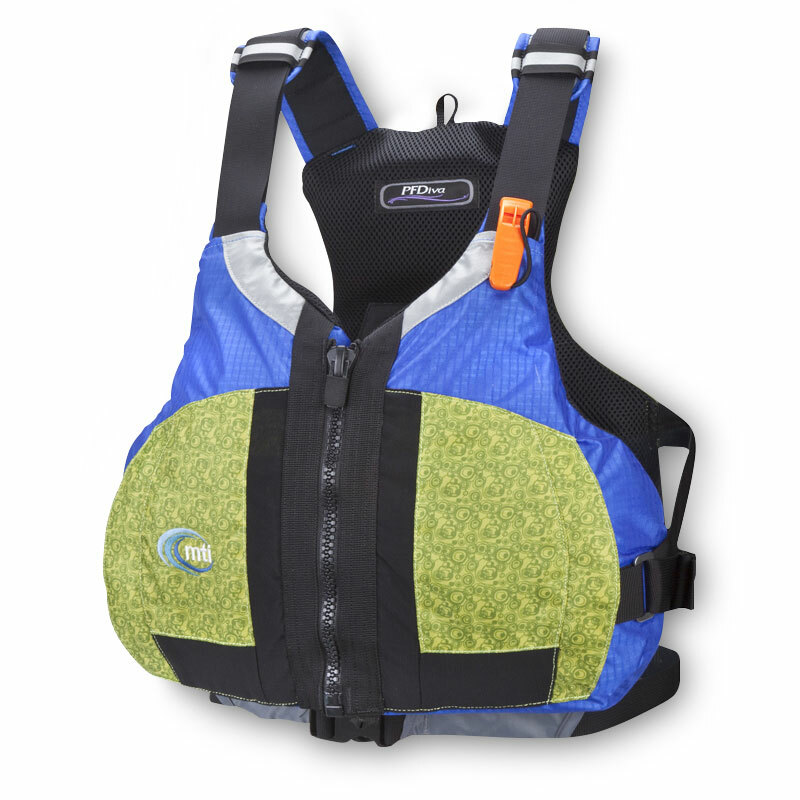 The company’s Linda model has pre-shaped foam to better fit women kayakers while the Ronny model has similar features as the Linda but offers a better torso fit for men. Johnson endorses Type III vests for this, and she notes manufacturers are designing stylish and lightweight specialty brands. “You have to be careful when picking these out because some are not Coast Guard approved,” she warns. For more helpful information on PFDs, visit www.safeboatingcampaign.com. • MTI Adventurewear, www.mtiadventurewear.com • Stearns, www.stearnsflotation.com • O’Brien, www.obrien.com • Stohlquist WaterWare, www.stohlquist.com • Mustang Survival, www.mustangsurvival.com • Astral, www.astraldesigns.com John Neporadny wears his life jacket with a kill switch attached when running his bass boat.